In January, Serhat Tanyolacar, an adjunct faculty member in the art department at Polk State College in Florida, was invited to submit artwork to an open faculty show. 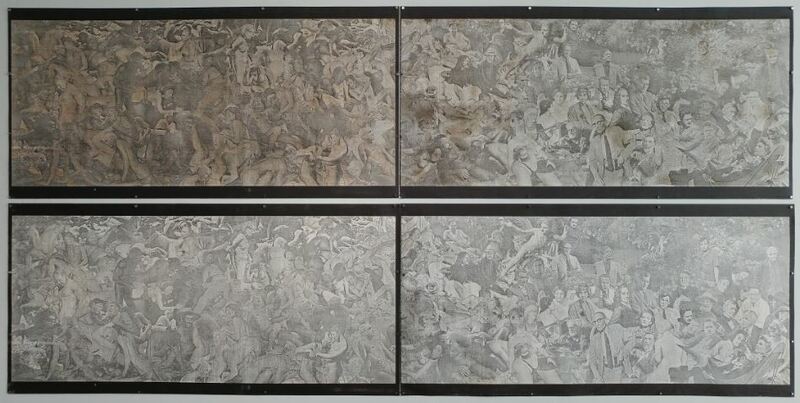 The work he submitted, Death of Innocence, was subsequently rejected by the college as being “too controversial” to display. The artwork juxtaposes sexually explicit images of political figures such as Donald Trump, Betsy DeVos and Vladimir Putin —”the world as it is” in Tanyolacar’s words—with “the world as we could be,” featuring artists, poets, and writers, like T.S. Eliot and his wife Vivienne Haigh, Neal Cassady, Sylvia Plath, Bertolt Brecht, Nâzim Hikmet, and fictional characters such as Atticus Finch and Cyrano de Bergerac. CAA media and content manager Joelle Te Paske spoke recently with Tanyolacar via phone about his experience. Subsequently Tanyolacar says he received criteria after the deadline, and then a phone call from the dean of academic affairs to schedule a meeting between himself, Scoggins, and the college president, Angela Garcia Falconetti. During the meeting Falconetti apologized, but maintained the work would not be shown. FIRE and the National Coalition Against Censorship wrote to Falconetti last month, asking her to re-evaluate the decision, but a university spokesperson said they had no comment. Having provided no criteria for works to be included in their exhibit, Polk State College cannot retroactively determine that certain topics or viewpoints are off limits. Artistic freedom must be protected on our college campuses in particular, as it is there that open debate and the sharing of diverse viewpoints contributes most directly to intellectual growth and freedom. 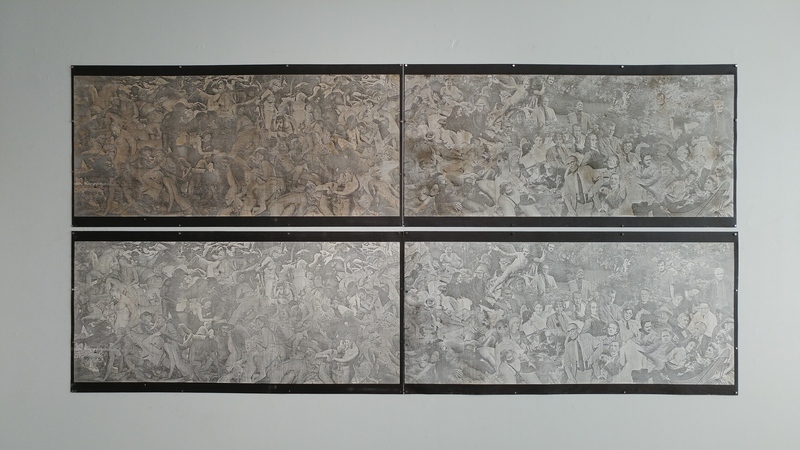 At a moment when universities around the country are struggling with deeply challenging issues around free expression and young people are actively engaging in public debate on these and other crucial matters, Polk State College does its students a disservice by suggesting they cannot handle a little controversial art in their hallways. CAA invites nominations and self-nominations for TEN individuals to join the caa.reviews Council of Field Editors for a three-year term, July 1, 2018–June 30, 2021. An online journal, caa.reviews is devoted to the peer review of new books, museum exhibitions, and projects relevant to art history, visual studies, and the arts. The Council of Field Editors meets annually at the CAA Annual Conference. 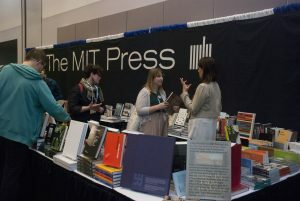 Field editors must pay travel and lodging expenses to attend the conference. 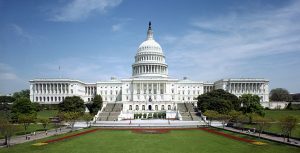 Members of all CAA committees and editorial boards volunteer their services without compensation. Candidates must be current CAA members and should not be serving on the editorial board of a competitive journal or on another CAA editorial board or committee. Nominators should ascertain their nominee’s willingness to serve before submitting a name; self-nominations are also welcome. 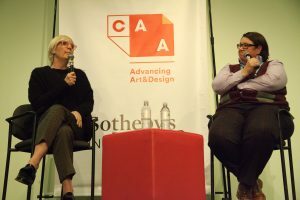 Please send a cover letter describing your interest in and qualifications for appointment, a CV, and your contact information to: caa.reviews Editorial Board, CAA, 50 Broadway, 21st Floor, New York, NY 10004; or email the documents to staff editor Joan Strasbaugh, jstrasbaugh@collegeart.org. 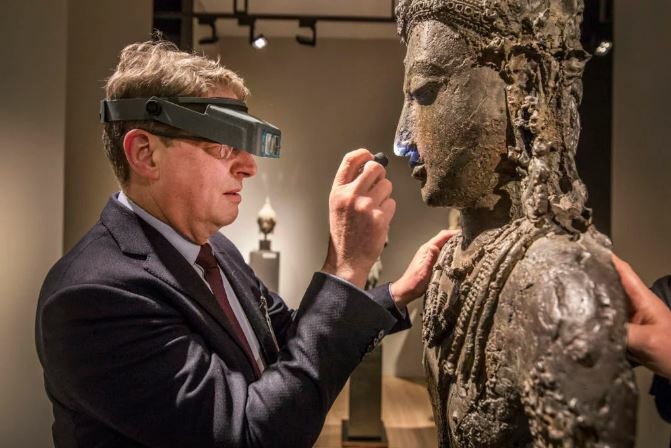 Vetting at the 2018 TEFAF Maastricht fair. 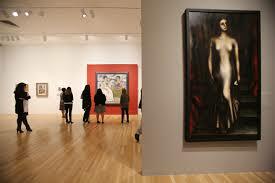 Photo: Loraine Bodewes, courtesy of TEFAF via Artnet News. This week, Kelly Boehmer and Matt Toole discuss teaching teaching 3D and sculpture. Kelly Boehmer lives in Pooler, GA and teaches as a Lecturer at Georgia Southern University. She makes large-scale, soft sculpture installations (often depicting unicorns) and is a member of the performance art band, Glitter Chariot. Matt Toole lives in Savannah, GA and was a professor at the Savannah College of Art and Design from 2006 to 2016. He is a sculptor who works with a variety of materials and processes including performance works focusing on rituals associated with making. 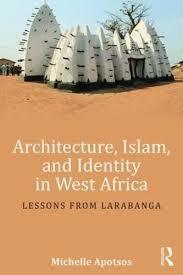 Itohan Osayimwese reviews Architecture, Islam, and Identity in West Africa: Lessons from Larabanga by Michelle Apotsos. Read the full review at caa.reviews. Alice Heeren explores the exhibition catalogue México 1900-1950: Diego Rivera, Frida Kahlo, José Clemente Orozco, and the Avant-Garde by Agustín Arteaga. Read the full review at caa.reviews. 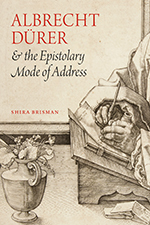 Joseph Leo Koerner writes about Albrecht Dürer and the Epistolary Mode of Address by Shira Brisman. Read the full review at caa.reviews. 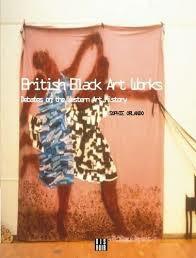 Elizabeth Robles examines British Black Art: Debates on Western Art History by Sophie Orlando. Read the full review at caa.reviews. 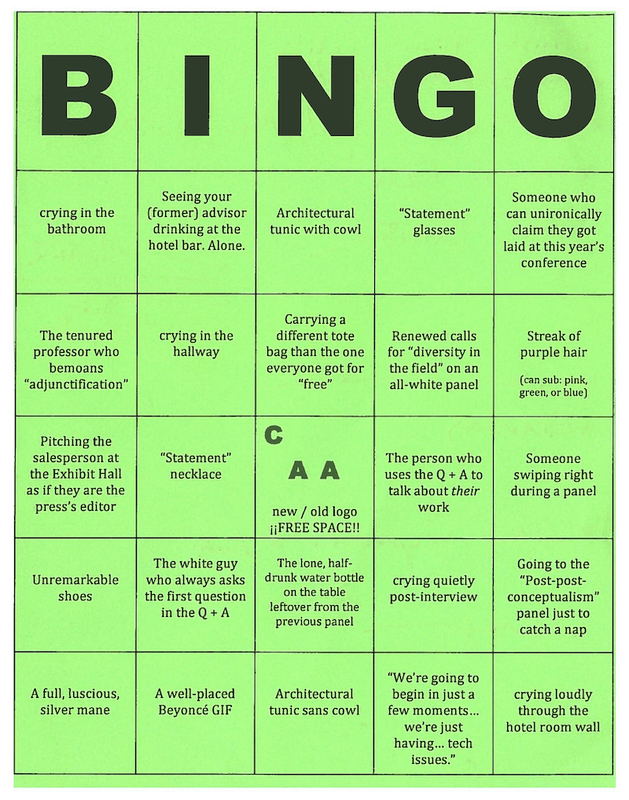 Anonymous bingo card from 2018 Annual Conference, featured in “Sans Cowl” by Andy Campbell. 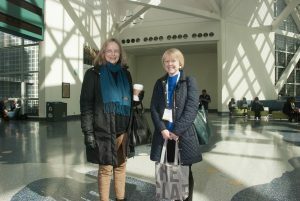 Many thanks to everyone to made it to the 106th Annual Conference at the end of February. We had more than 4,200 people attend. 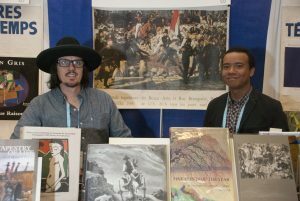 Members enjoyed their sessions, as well as many of the opportunities to visit locations in LA outside of the Convention Center. We have also received lots of positive feedback on the new logo and the Cultural and Academic Network Hall. We will be sending out a survey to the participants in the very near future. We are interested in your feedback about everything from session contact to the price of local coffee. So keep notes of your impressions so you can let us know. Watch the videos of select sessions and main events. Access Abstracts and the Directory of Attendees via the CAA membership portal. This week, Mandy Horton and Breuna Baine discuss the Bauhaus and the New Typography. Horton is an associate professor at the University of Central Oklahoma whose specialty is in design history, she has developed multiple courses on this subject, including an award-winning History of Graphic Design online course and is director of the new Design History minor at UCO. Baine is an associate professor of graphic design at Auburn University Montgomery.